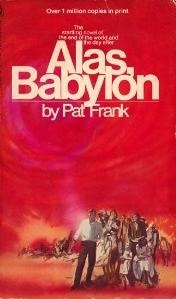 Among the poker headlines coming through the reader yesterday was a Punto Banco story. 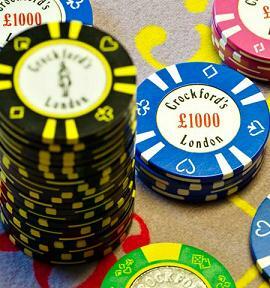 That’s right, another interesting chapter in that situation involving Phil Ivey and the Crockfords Casino in London. Recall how we heard Ivey had visited the Mayfair casino last August, transferring a cool £1 million into the casino’s bank account while accompanied by a mysterious Chinese woman (styled “a beautiful Oriental female” in most of the U.K. reports where the adjective isn’t considered non-PC the way it is in the States). Then over a couple of evenings Ivey proceeded to play high-stakes Punto Banco, a variant of baccarat, for about seven hours altogether. On the first night Ivey started out betting £50,000 per hand, then was allowed to increase the stakes to £150,000. After initially finding himself down nearly £500,000, the momentum swung back Ivey’s way and he ended the evening £2.3 million up. He then came back the next night and his streak continued, enabling him to leave £7.8 million ahead -- i.e., a win of almost $12 million or the equivalent of Jamie Gold’s 2006 WSOP Main Event first prize (the largest ever for the ME). Ivey’s session immediately made headlines in the Daily Mail, with the initial reports also noting how Crockfords had not paid Ivey his winnings right away. Then came word of the casino’s plan to investigate casino footage, interview staff, and inspect the cards and dealing shoe used during the two sessions before paying Ivey. Another item of potential interest was the fact that the woman accompanying Ivey had been banned from another London casino previously. Soon it became apparent that Crockfords might not be willing to pay Ivey his winnings at all. Crockfords did allow Ivey to withdraw the £1 million with which he’d started, but otherwise they were resisting paying Ivey the rest. By the time the situation had dragged on into the fall, it was apparent the case may end up in the High Court, and indeed last week news came that Ivey was suing Crockfords in an effort to claim his winnings in what will surely be a huge, sensational legal story. Thus the allegation is that Ivey somehow knew about or discovered the flaw, with his request to the dealer that the cards (while face down) be turned in such a way that would enable him to spot the distinctive characteristics more easily and thus know what cards had (or hadn’t) been dealt. From the outside, the casino’s case sounds sketchy, given that Ivey obviously had nothing to do with the cards being used in the game. Anyhow, it’s all very eyebrow-raising in an “international-man-of-mystery” kind of way, and the Mail and other outlets have routinely brought up by way of comparison James Bond and his game of baccarat in the original Casino Royale to help their stories more readily catch the reader’s eye. 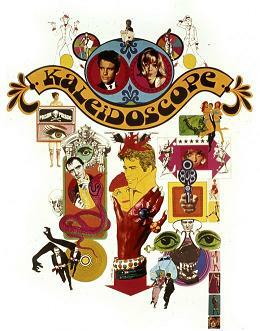 Another film frequently mentioned in these articles is the 1966 Bond-like comic caper Kaleidoscope starring Warren Beatty and Susannah York. 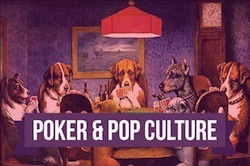 Coincidentally it was last August -- around the time Ivey visited Crockfords -- when I wrote up a “Pop Poker” column for PokerListings about the film, which often gets mentioned in those “best poker movies” lists one sees popping up from time to time around the web. Those comparisons are being made because the plot of Kaleidoscope involves Beatty’s character, Barney Lincoln, pursuing an elaborate scheme whereby he doctors the plates from which the Kaleidoscope brand playing cards are printed. 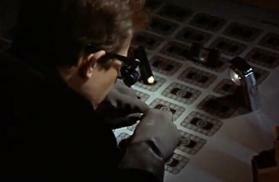 The cards are used in casinos all over Europe, and thus we see Lincoln spend the first half of the film enjoying win after win as he plays Chemin de Fer (another baccarat variant), wearing a conspicuous pair of thick-framed eyeglasses as he does to help him see the markings. Lincoln is eventually found out in the film, and the plot takes a turn as he gets recruited by Scotland Yard to help them capture a villainous crime lord, Harry Dominion, played in over-the-top fashion by Eric Porter. The latter half of the film features a high-stakes game of five-card stud involving Lincoln and Dominion, and does include a few interesting moments -- particularly after a deck change introduces non-Kaleidoscope cards into the game. If you’re curious about the film, check out my discussion over on PokerListings. There you’ll see I was kind of lukewarm on it, not really being that entertained although I can see some fans of Bond and/or Bond parodies perhaps getting into it. It’s also cool for those who enjoy swinging ’60s fashion, U.K. style. 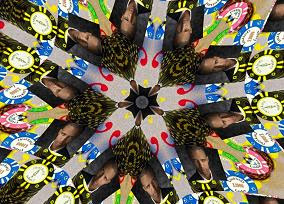 It’s sort of funny to compare Kaleidoscope to the Ivey-versus-Crockfords situation, since doing so invites us to imagine Ivey as some kind of supervillain-cat-burglar type breaking into card manufacturing plants and manipulating the printing process in order to set up his big score later on. Obviously that’s not what is being alleged, but still, it’s a funny image, perhaps even easier to entertain for those of us who have gotten to know Ivey as a larger-than-life figure. More pertinently, those of us who know Ivey and his high-roller ways also find his enjoying a winning streak of 40-50 bets’ worth at a chance-based game to be much less remarkable than is the case for Crockfords’ owners. Then again, as we’ve been thinking about a lot over the last few days with regard to the revival of the UB cheating scandal, being able to know all of the cards that have been dealt is a sure way to increase one’s chance of winning. I wonder: If Ivey had LOST 40-50 bets, instead of winning them, would the casino have said, "Ya know, that's kind of suspiciously bad luck. So we investigated and discovered a tiny flaw in the cards, and as a results we've decided to refund Mr. Ivey his money."